BY REGISTERING ONLINE OR IN STUDIO, I STATE THAT I HAVE READ ALL STATEMENTS AND POLICIES IN THEIR ENTIRETY, AND I UNDERSTAND, AGREE WITH AND SUPPORT ALL POLICIES, RULES AND REGULATIONS OF NEXT GENERATION DANCE CENTER AND STATE THAT I AM SOLELY RESPONSIBLE FOR ALL PAYMENTS DUE ACCORDING TO THE REGISTRATION ENROLLMENT FORM. IF A CLASS IS DROPPED, I MUST TURN IN A DROP CLASS FORM OR I WILL CONTINUE TO BE BILLLED FOR ENROLLED CLASSES. I DO NOT HOLD NGDC OR INSTRUCTORS RESPONSIBLE FOR ANY INJURIES THAT MAY OCCUR AT NGDC. IN ADDITION, MY/MY CHILD'S PHOTOS CAN BE USED FOR PROMOTIONAL PURPOSES. Already Registered with Next Generation Dance Center? 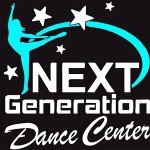 New to Next Generation Dance Center? If you have taken classes before with Next Generation Dance Center and you have given us your e-mail address, try the forgot your password link. If not, please contact the office to give us your e-mail address and to set your password.